Comments: RECEIVE IN 2-3 BUSINESS DAYS IF YOU CHOOSE EXPEDITED SHIPPING! 9th Edition. Used books are NOT guaranteed to contain ponents and/or supplements such as: Access Codes or working CD's/DVD's! 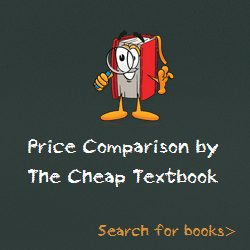 This entry was posted in Book and tagged 1305087283, 978-1305087286, Top Textbook 2018 on January 11, 2018 by Textbooks.